In her work Karin Hoogesteger explores and depicts the always present tension between culture and nature. 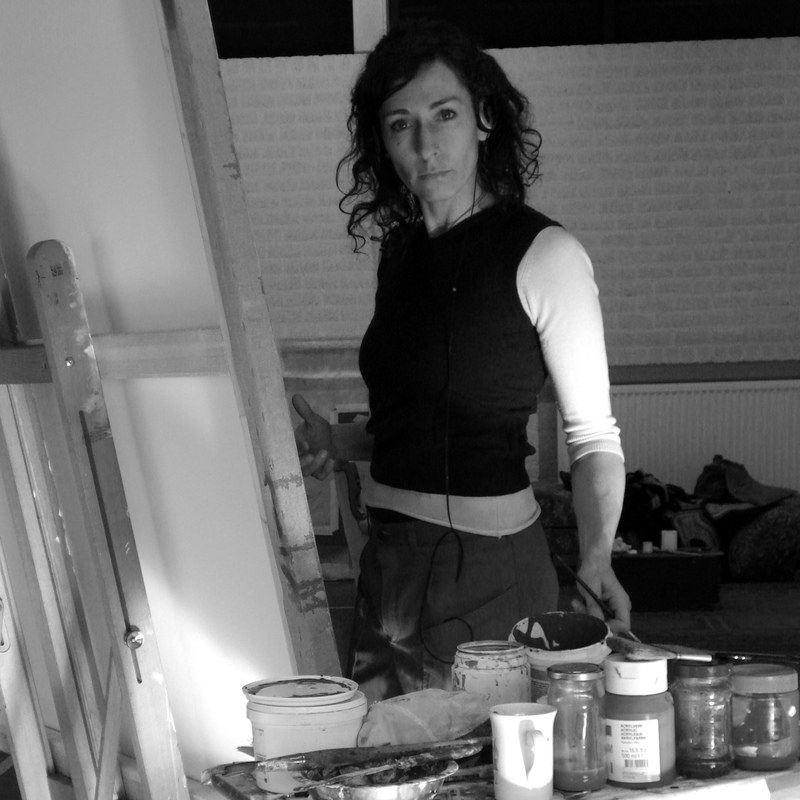 She developed an unprecedented sensitivity to lighting that now pervades her whole work. And even in the paintings that only depicts nature, there is at least a finger pointing to human influence, such as a title like Cultivated Nature’ or one that refers to a musical composition. This reinforces the feeling of melancholy and poetry Hoogesteger often creates in her paintings by alternating between vivid colours with sparingly filled in surfaces. After seven years of art education, Karin Hoogesteger started working as an illustrator. She eventually made the move to become a full-time painter. Her work has been exhibited in Galleries in Holland and in international art fairs and exhibitions. Karin Hoogesteger approaches painting like she would philosophy: Though her woks she digs into the core of existence. The process matters more than the result itself. The result of her constant research is however breathtaking in its peaceful evocative power. It is in Spain, where she lived for a year, that she drifted away from portraiture and started painting her surroundings. The climate and bright sunlight of Spain hugely influenced how she approaches painting. She developed an unprecedented sensitivity to lighting that now pervades her whole work. Most of her compositions are painted dominantly with cold colours enhanced by a bright red hue what creates a halo around her subjects. Trying to look at the world with a childlike innocence, Karin lets herself be overwhelmed by the beauty of a scene. She renders it on canvas with sufficient mastery that the viewer would feel absorbed into the painting. However, the dreamy atmosphere of the works gives the onlooker the space to see their own stories reflected in these paintings rather than the artist.